The 8th Ministerial Meeting of the Arctic Council took place the 15th of May in Kiruna, northern Sweden. The forward-looking statement entitled ‘Vision for the Arctic’ was adopted at the meeting. The document outlines the Arctic states’ and indigenous Permanent Participants’ joint vision for the development of the region. Arctic Council States also signed a new, legally-binding Agreement on Cooperation on Marine Oil Pollution Preparedness and Response in the Arctic which will substantially improve procedures for combatting oil spills in the Arctic. A number of important reports were presented to the Ministers at the meeting. During the meeting, ministers also signed the Kiruna Declaration, which sets out the work of the Council during the Canadian Chairmanship (2013-15). The decision to invite six new nations as observers in the Arctic Council lifts the status of this forum to a new level, says Norway´s foreign minister Espen Barth Eide. When the Arctic Council gathered for an evening dinner in Kiruna on Tuesday there where no time for small talk. The council had one important issue to solve before the official Arctic Council meeting on the 15th: Whether or not to include six new observer nations to the council. “We were far beyond the main course before the decision to invite China or not was decided on, and nobody was really certain of the outcome when the debates started”, Barth Eide confirms. But to Barth Eide´s relief they finally agreed on the role of the observer status and which rights are given to these new observers in the council. So in the morning of the 15th all council members signed the Kiruna Declaration in the City Hall of Kiruna. Barth Eide highlights the decision as a breakthrough for the political status of the Arctic Council. And this breakthrough is not only important for the cooperation between the Arctic nations, but also for international cooperation across the world. “The Kiruna Declaration confirms that the Arctic Council is the primary organisation for Arctic issues. It confirms that the basic principles of the Arctic Council are to lead the way for all decisions concerning the Arctic. It confirms that all nations will focus on preserving the environment of the Arctic and it also confirms that this organisation will have Indigenous Peoples as active participants”. However, one issue was not solved during the tough discussions of the evening dinner: The observer status of the European Union. It is agreed that also EU will become an observer in the council, however some details concerning their role must be solved first. “EU and Canada have to solve some disputes first and seals are a major part of these remaining discussions”, says Barth Eide. EU had outlined a suggestion for solving the disputes on sales of seal products, but Canada felt the new text was sent on a too short notice to make a decision. Therefore the final decision to include EU as an observer in the council will have to be postponed, but not for long. It can be decided within the next months in the chairmanship. Since Canada has taken over the chair of the Arctic Council it will probably be solved quite fast, according to Barth Eide. 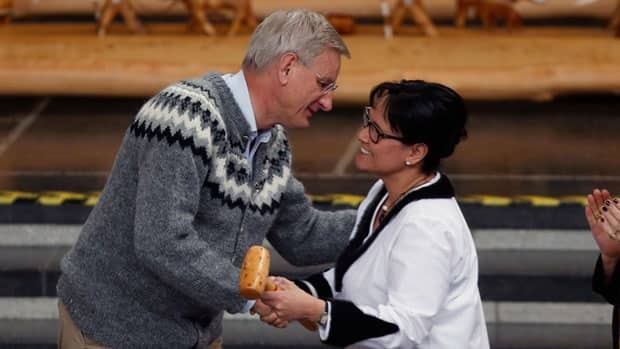 The Norwegian foreign minister is satisfied that Norway´s main goal for the Kiruna meeting was decided on. In his opinion the observer debate has taken all focus away from other and more important discussions on Arctic development.